Selinsgrove has its very own soccer star. 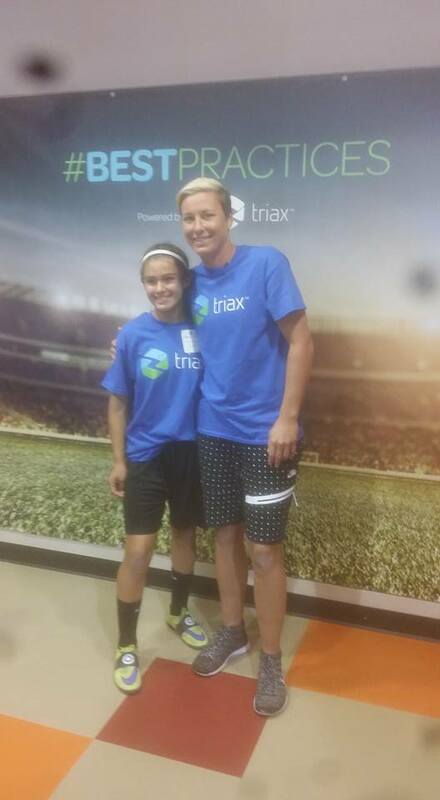 Jessica Smith, 12, was picked out of one hundred girls to go meet soccer legend Abby Wambach in New York City. “It is very exciting,” Jessica told the Orange Street News. Jessica was one of only ten people chosen for a special one hour training period. Today Jessica spent time doing headers with the two-time Olympic gold medal winner at Chelsea Piers. This entry was posted on October 6, 2015 by Hilde Kate Lysiak and tagged abby wambach, Hilde kate lysiak, jessica smith, Orange Street News.